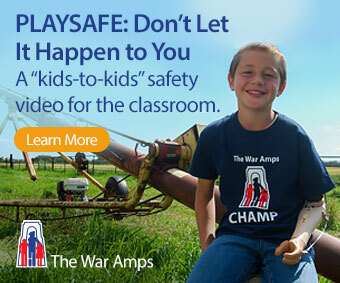 Today’s world is full of troubling issues, and I’m not always supportive of the idea that young children need to be made aware of, or take responsibility for, the problems that adults have created. However, a new release that deals with a growing social problem in cities across Canada—poverty, and its manifestation as homelessness—caught my attention recently. Poverty and homelessness are obviously not problems that children can or should solve, but because they are so visible (in urban environments, at least) they will raise questions and, perhaps, fears in the minds of children. 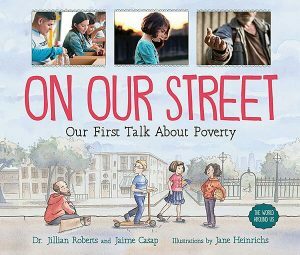 On Our Street: Our First Talk About Poverty by Dr. Jillian Roberts and Jaime Casap (Orca Book Publishers, 2018) is a skillful attempt to initiate a discussion for children in the five- to eight-year-old age group who may not understand what they are seeing on the streets in their communities. The text is presented in question and answer format, with a question coming from a perplexed child on each left-hand page and a thoughtful answer and informative sidebars on the facing page. The discussion moves on to a larger world-view as the authors suggest reasons for how people come to be living in poverty. Photographs and beautiful illustrations by Jane Heinrichs are used throughout, adding to this book’s appeal to the target age group. I believe that On Our Street is a book that will be helpful in encouraging children to ask questions and to gain understanding and compassion for marginalized members of their communities. This Letter from the Editor is from Canadian Teacher Magazine’s Spring 2018 issue.